Always fret on what to eat for vegetarian? The creative Hard Rock Singapore has come out with a vegetarian menu catering to all vegetarian lovers! Cauliflower “Wings” [$14] Must Try! Crispy cauliflower served with bleu Cheese,celery and carrot sticks! I personally dislike broccoli and cauliflower but I can’t take my hands off this dish that day! Pico De Gallo Quinoa Arugula Salad[$22] A plate of salad that is mixed with pico degallo,quinoa,lime juice, arugula and chopped cilantro , topped with brussels sprouts, spicy pecans,feta cheese and raisins. Toss it with citrus vinaigrette to have a refreshing taste! If you are a salad lover, you would love this! 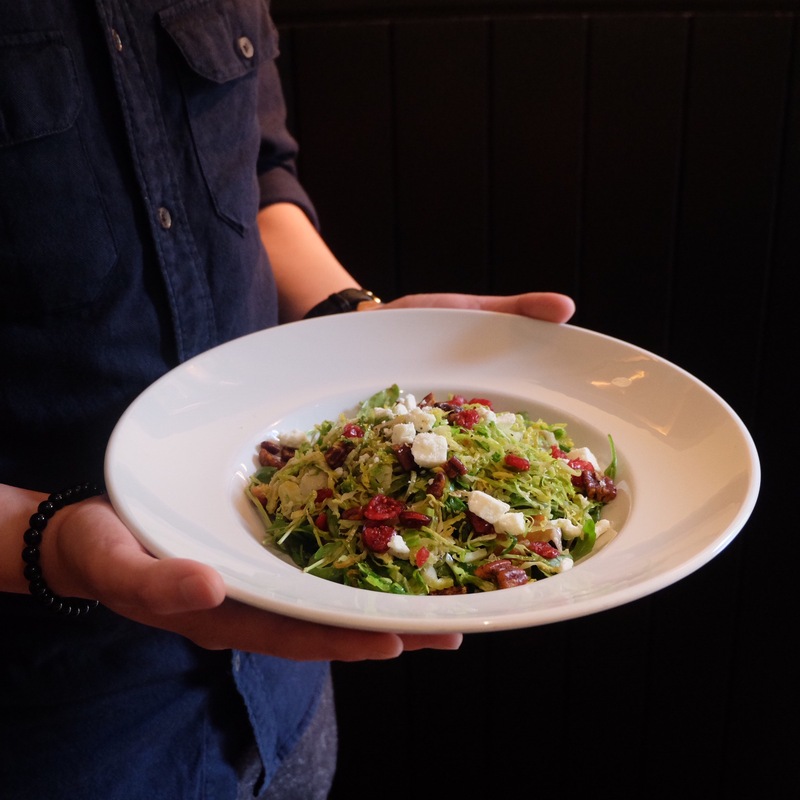 Feta & Fig Salad[$22] Salad that is tossed with fresh fig, feta cheese, cherry tomatoes, pine nuts and arugula! Anything with fig is always so refreshing! Seared Corn and Green Bean Wrap[$18] Must Try! Grilled green beans topped with roasted corn, black beans, pico de gallo, rice and spiced yogurt, served with Salad. This wrap tastes sweeter and tastier as compared to the other as mentioned below so I am definitely going to choose this! Grilled Ratatouille Wrap [$18] Grilled ratatouille vegetables topped with Sriracha mayo,olive oil and baby arugula, served with salad. Quinoa Burger[$19] Patty is actually made of quinoa , sandwiched with red onion,portobello mushroom,eggs,cheddar, pecans,barley,soy sauce and breadcrumbs, topped with sriracha hummus,arugula and tomatoes. Cauliflower Burger[$19] Must Try! Patty that made of cauliflower,sandwiched with garlic, egg,goat cheese,oregano and breadcrumbs, topped with zucchini ,squash , Monterey jack cheese, arugula, tomato and garlic aioli. 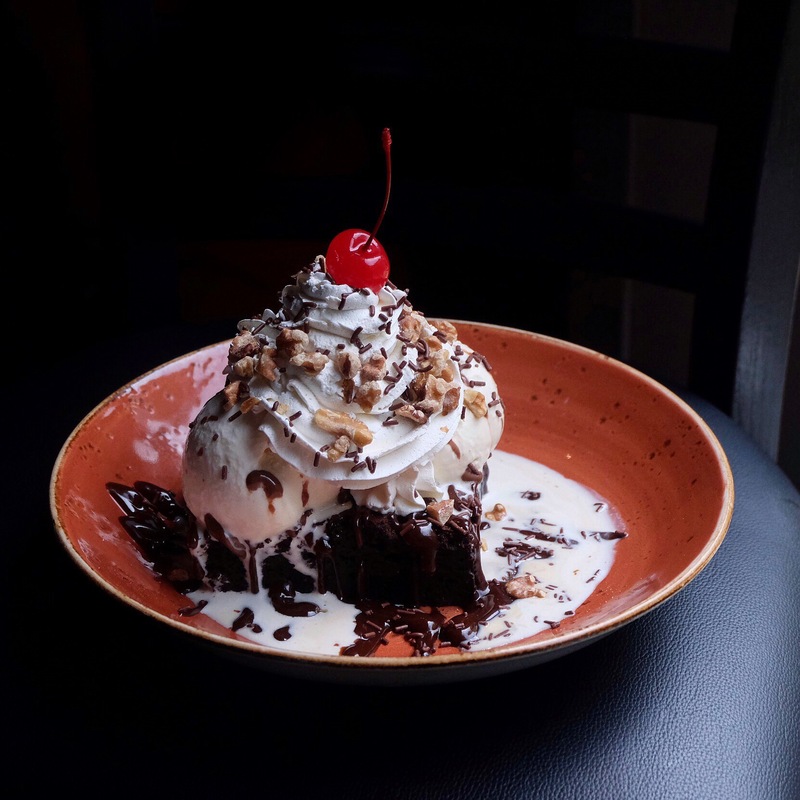 Hot Fudge Brownie with ice cream[$18] Must Try! I can totally understand why this is a must-try dessert when you go to hard rock. Its Sinfully good! Forget about the calories in the meantime and enjoy this!